Our patented design offers features not found in any other enclosure. Lightweight, portable, and attaches in seconds. 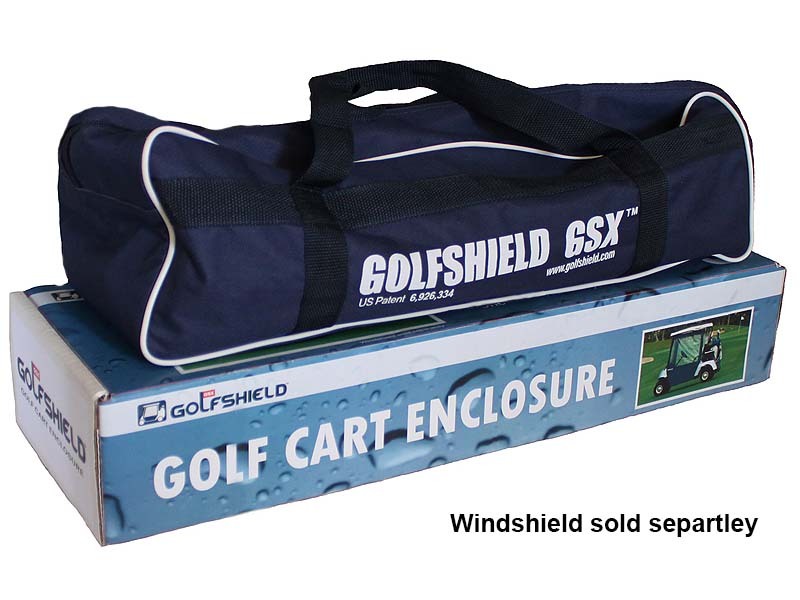 Fits virtually any cart. Comes with a 1 year warranty. 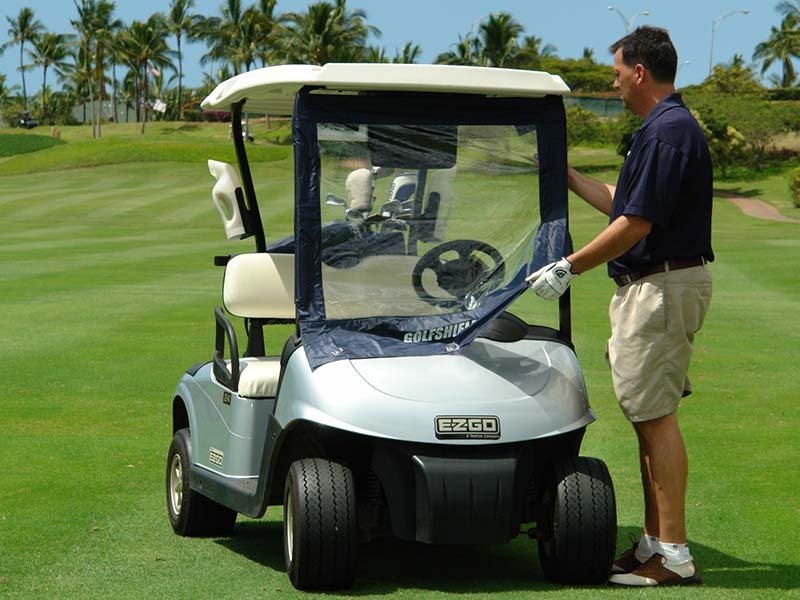 Ask your pro shop to take one for a test drive. Thank you for subscribing to our email list. You will receive an email confirmation shortly explaining the benefits! 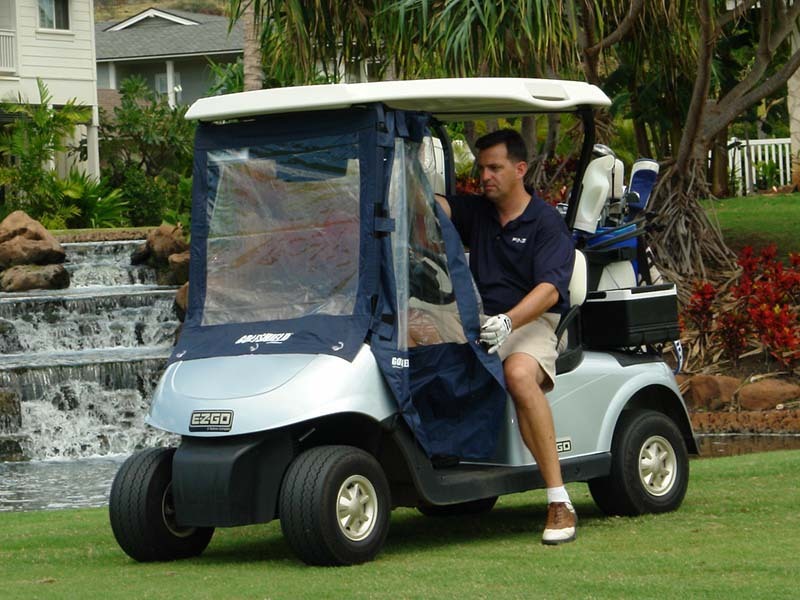 GolfShield was founded in 2002 with a vision of creating a portable, lightweight golf cart enclosure that would fit any cart and would be so easy to use that every golfer would want to own one. In order to accomplish this goal research, design, and innovation would be the keys to success. We've gone through many prototypes and revisions over the years as we don't believe in "good enough". From day one we've been committed to outstanding customer service.